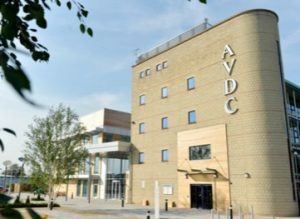 Since December 2015 I’ve been working with Aylesbury Vale District Council (AVDC), turning them from a traditional local authority into a commercially-focused social enterprise. 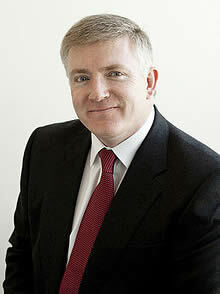 I first met the Chief Executive Andrew Grant in 2011. This was in the dark days of a deep recession, and he explained that he had done all the necessary cost-cutting, but was looking to develop his commercial activities to generate new revenue, to move from cutbacks to service expansion. Four years later, in December 2015, I caught up again with Andrew and was amazed by the progress that had made. They had developed ten viable revenue streams, including property development, a Vale Lottery, stand-alone companies: Limecart (council to household) and Incgen (council to business), turned planning from a loss to a profit and taken the entire council 100% into The Cloud. I’ve since designed and facilitated three very successful events, ‘Surviving to Thriving I-III’​ aimed at helping other local authorities develop best practice in commerciality, based on AVDC’s best practice and proven business models. Our latest event was ‘Digital by Design’ on Tuesday 27th June 2017 which explained AVDC’s thought leadership and innovation in the digital space. AVDC was the first local authority to go 100% into The Cloud, saving £4m in the process. Could your council become a social enterprise? How does a council balance its books? The conventional path of cutting costs has been pursued by most councils ever since the 2008 recession. Each year since that recession, councils across the country have sought new savings, to try and match a static or dwindling income. Yet with payroll costs and the demand for core services on the rise, another round of cost savings might not be enough. Yet there is another way. After all, balancing the books means balancing income and expenditure. What if a council’s leadership also sought to increase its income? Of course this year we have seen many upper tier councils increase their council tax, specifically to pay for social care. I have no particular problem with that, where taxpayers can see a specific need for higher taxes. However there is another way to increase income. It doesn’t need to be compulsory, through taxes. Instead it can be for providing a range of services, complementary to fulfilling statutory functions, for which local people and businesses would be prepared to pay. Aylesbury Vale District Council is one example of this entrepreneurial thinking. The Chief Executive Andrew Grant has identified and pursued ten new revenue streams which are now generating extra revenue and which in time could enable him to turn his council into a social enterprise, eventually not needing central Government grants. The different streams of revenue come from a variety of activities, including property development and a local Lottery. Stand-alone social enterprises have been created providing specialist or premium services both to local residents and local businesses. One of Mr Grant’s aims has been to transform the planning department into a profitable activity, by developing complementary and premium services for property owners and developers. Let’s be clear. This is not about over-charging for statutory public services. It’s not about racking up compulsory charges, like parking. Nor is it privatising services to outside contractors. Indeed, by harnessing the full value of a council’s capabilities, this approach is a real alternative to contracting out. So how can this change be achieved? Fundamentally it’s a change of mind set, of how councils see themselves. It’s about being entrepreneurial in thinking about what expertise lies within the council. It means recognising the value of that skill or expertise, beyond the basics. It’s about encouraging all council staff who provide a service to become customer-focused. Thus Aylesbury set up Limecart Ltd, aimed at providing complementary services for householders, which runs value-added services, including handyman, decorating, gardening and cleaning services. The council has also turned their planning services from a cost of £1.5m to an operating a surplus of £1m, by making their services more efficient and offering premium services for property developers. How can a local authority effect that cultural change amongst its own staff? At Aylesbury Vale they have brought on board someone who has been challenging conventional thinking for years. Mike Southon, the highly successful Beermat Entrepreneur, is a brilliant advocate for enterprise and left-field thinking. I have known him since my days as a Business Minister and he is great at challenging group-think and helping people find their inner entrepreneur. In working with the council staff at Aylesbury Vale, Mike has backed up the senior leadership’s approach by working across all departments and staff and helping them identify best practice in commerciality and in responding to the needs of its existing base of service users. The council now has a bold vision of being ‘tax free in 2023’ which shows real ambition. Clearly each council faces different circumstances and the demography of Buckinghamshire is different to other areas. Yet this approach is about the culture within an organisation and empowering those who work for it to become genuine social entrepreneurs. As all councils search for ways to balance their books, this approach has much to commend it. Mark Prisk FRICS MP is a former Housing Minister and a member of the Communities & Local Government Select Committee from 2015.